Once upon a time a young girl growing up in the midwest was put to work ripping Morning Glory vines out of corn fields. Because of this, the girl learned about invasive species. And she hated Morning Glory. Then the girl’s little brother married someone who planted the EVIL VINE on purpose in front of their house, which was surrounded by corn fields because everything is in the midwest. The girl attempted to be nice when she explained that they are from the Devil. The state flower of Georgia is an invasive. In light of my manifesto on Morning Glory, it is time to do a little homework. Invasive species are a real problem and here are some resources for you to read and bookmark. http://www.invasive.org/ If you live in the southeast or http://www.invasivespeciesinfo.gov/index.shtml for the entire country. This is important. Make sure you do not plant anything listed here and if you are the proactive sort, get the app and report invasives. Avoid using styrofoam. Use reusable or compostable items instead. If half of the roughly 55 million school children in the United States use styrofoam plates for the school provided breakfast and lunch, that is 9,900,000,000 plates during the regular school year. A producer is something (generally a plant) that sequesters sunlight and turns it into calories. Or, as I like to think of it, a producer takes solar power and makes it edible energy. A primary consumer eats producers. This is as close to consuming the Sun’s energy as a person or animal can get. Secondary consumers eat primary consumers. For instance, a person eating a cow is a secondary consumer. Tertiary consumers eat secondary consumers. A person eating an omnivore is a tertiary consumer. Quaternary consumers eat tertiary consumers. Godzilla eating people or a person eating a shark that has eaten a seal that has eaten a penguin…you get the idea. To get you motivated and in the right frame of mind to really start mapping your garden, I recommend reading Barbara Kingsolver’s Animal, Vegetable, Miracle. This book, regardless of how you feel about her other works, is a great read for anyone who wants to grow their own food. She writes about the experience with transparency and candor. What’s more, this is an easy, non-technical book and perfect for easing into the cool planning season. 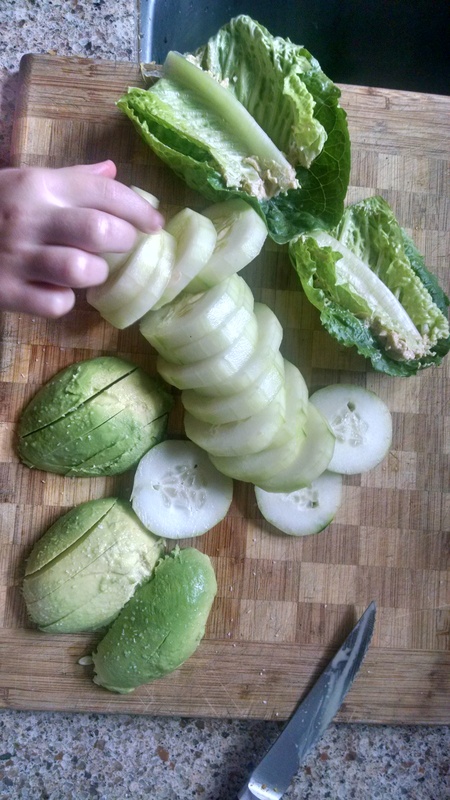 This entry was posted in education, food, gardening, homesteading, permaculture and tagged garden humor, Gardening, invasive species, locavore, organic, permaculture, vegetables, vegetarian. Bookmark the permalink. Morning glories are bad. My own invasive plant is ivy. According to my neighbor the ivy was planted a number of years ago by a past owner of my house. Now I am trying to get rid of plants that have been growing for probably 15+ years maybe much longer. It was allowed to grow unabated and is so hard to get rid of. Even if I wanted to use chemicals like round up they do not do well with ivy. All I can do is pull it up as I see its dirty leaves poking out of the ground. Agreed! My mother used to lament it every time we passed it climbing some venerable old home. Best of luck!